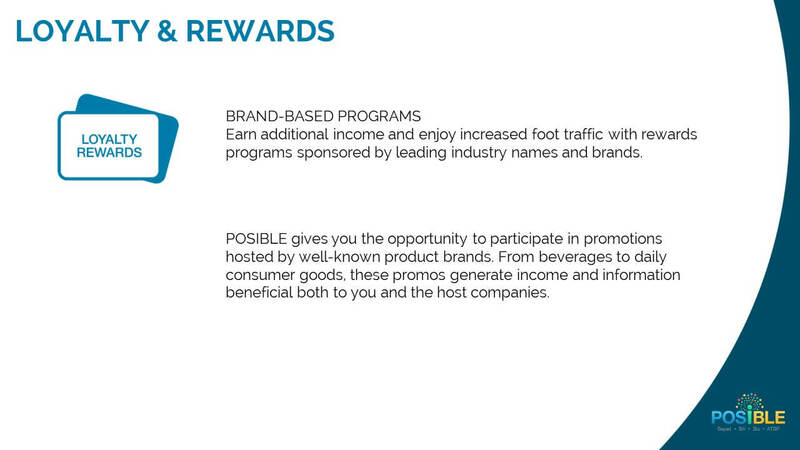 Make your business grow further. POSIBLE offers enterprise tools that can take your business to the next level. 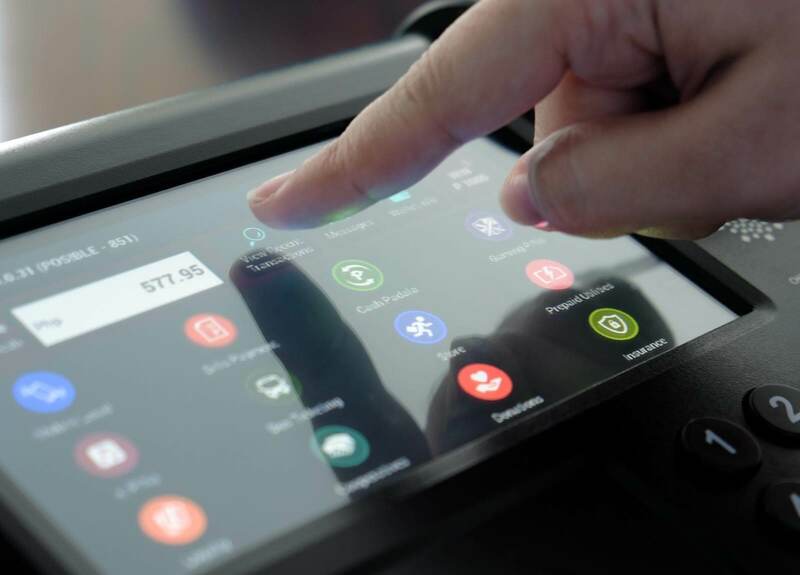 Check and update your existing inventory with just a swipe of your hand. 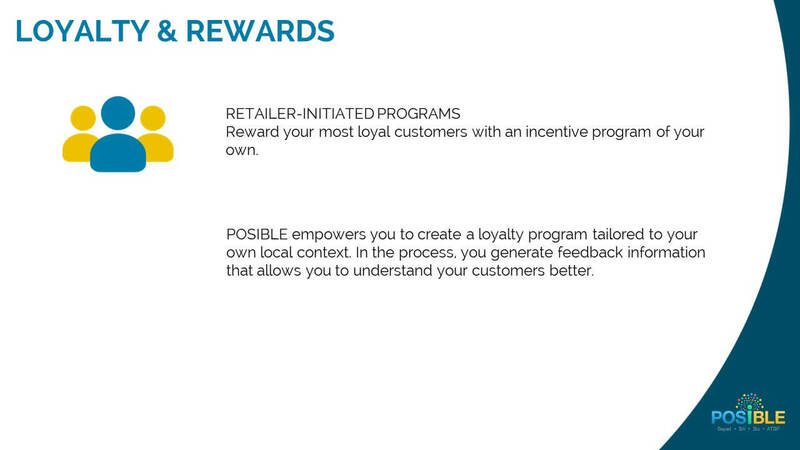 Create your own loyalty program to reward customers. All these and more, right in your hands. 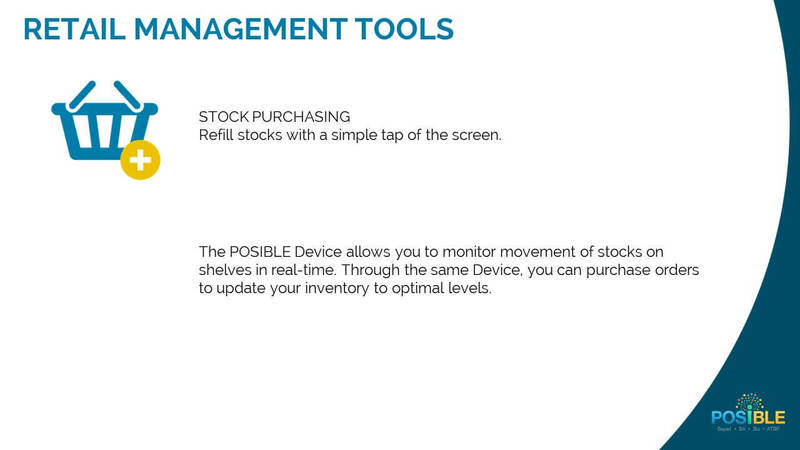 – Inventory Management. Keep track of your current inventory and sales. Find out which products are selling well. 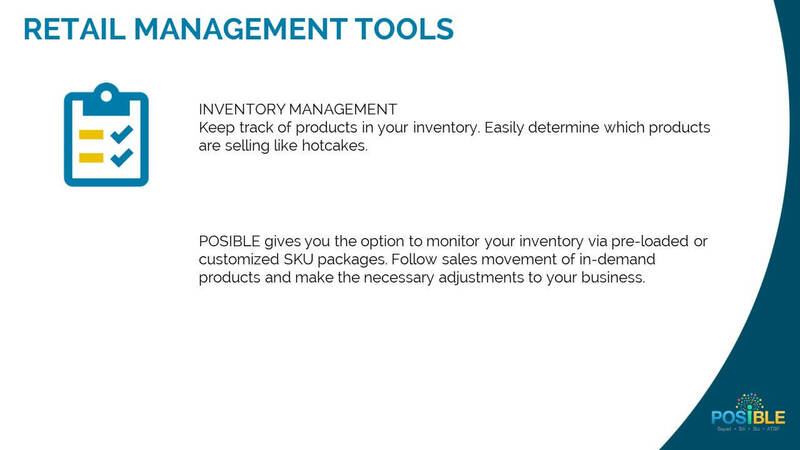 Get the inventory data you need to make business decisions. – Stock Purchasing. 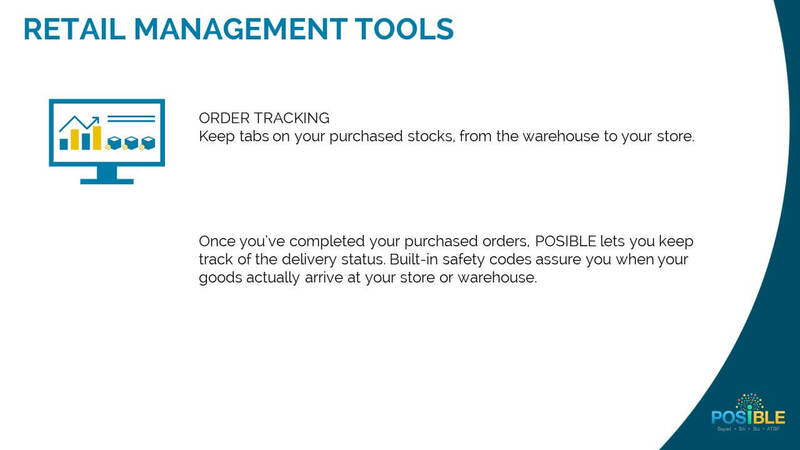 Streamline your ordering process with the built-in stock purchasing tool. Restock your inventory with a few simple taps. – Order Tracking. Never lose track of any delivery. Keep tabs on your order’s status from purchasing to delivery. A common problem among major brands conducting promotions is that they have no actual data on the movement of stocks during the promo duration. 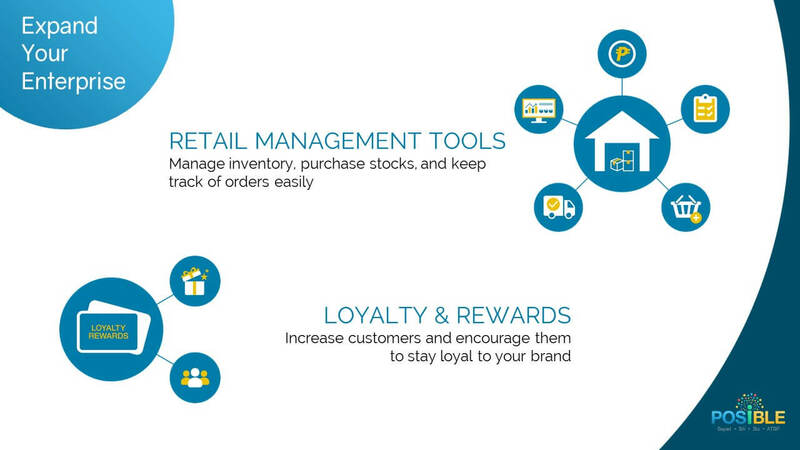 POSIBLE solves this by providing live, real-time information from the point of sale. Our system gives you the actual data you need to help you make the essential business decisions. To learn more about POSIBLE enterprise tools, book an appointment here.